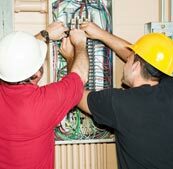 Local Joint Apprenticeship Council is a joint effort between IBEW Local 303 and Niagara Peninsula Electrical Contractors Association to mentor and administer the apprenticeship program under their jurisdiction. An apprenticeship is a 3 party agreement between the employer, the apprentice and the Ministry of Advanced Education and Skills Development (MAESD). The Local Joint Apprenticeship Council (LJAC) is recognized as an “employer of record” under the terms of the MTCU and deals with apprentices in the unionized electrical field only. The LJAC will sign a Training Agreement (as the employer of record) in cases of a transfer from another union local, during organization of a non-union company or through a pre-approved apprenticeship pool. In addition to the pool, contractors can submit their candidates for apprenticeship to the office of the LJAC for review of qualifications (education and safety training) and aptitude testing. The apprentice pool accepts applicants for testing when the existing pool is depleted of qualified candidates. Candidates are considered from the resumes submitted to the office. Resumes (meeting entrance qualifications) submitted to the office will be kept for 6 months. We also suggest that you send your resume to individual contractors for consideration. To qualify for an apprenticeship within the NPECA/IBEW Local 303 program you must have a Grade 12 diploma with Grade 12 Technical Math and successfully pass the aptitude tests. 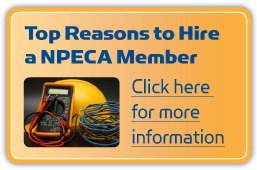 Niagara Peninsula Electrical Contractors Association Inc.